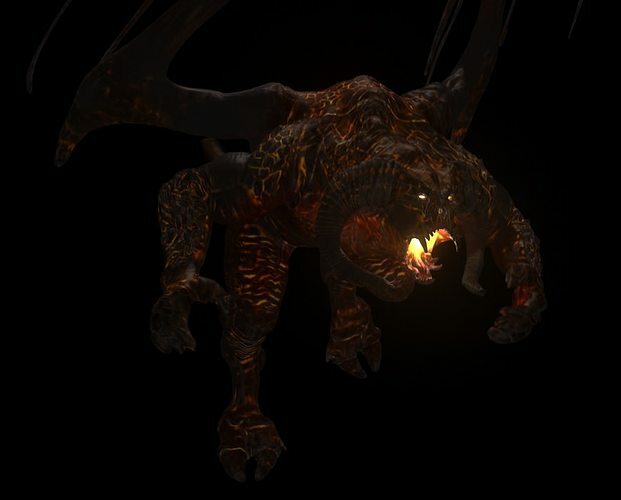 Full body Balrog from The Fellowship of the Ring. Textured, rigged, with diffuse, displacement, 2 normals, glow, ao and specular map. Ready for use on games. Low Poly and mirrored UV's. Includes Ztool with 6 subd levels for further edit. Love the works!! fantastic modeling! is it bone rigged? ready for animating? Hello djlslee. Yes it is!